Bathrooms are the perfect place to try out fun and bold patterns. Why? Because they are smaller rooms, so you can get away with choosing a bold color that pops or a wallpaper with a large or busy pattern on it. 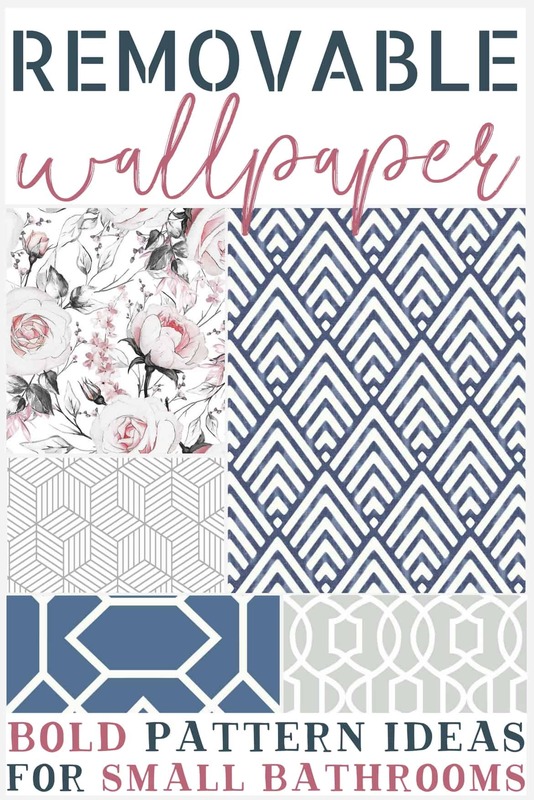 I’m actually grappling over which wallpaper to choose for my small bathrooms, and so it would be fun to shop for some removable bathroom wallpaper ideas and share what we find with you! This post contains affiliate links. I get a commission on products sold through these links. Hi again! It’s Nicole from Birkley Lane Interiors where I help women solve their decorating problems! I’m so excited to be back here at the The Weathered Fox where I love to share decorating tips, like these stylish Fixer Upper Printables, and fun shopping guides, like this Farmhouse Throw Pillow Shopping Guide! Today I’m back sharing another shopping guide with you — removable wallpaper for bathrooms! It seems wallpaper is no longer a dirty word. 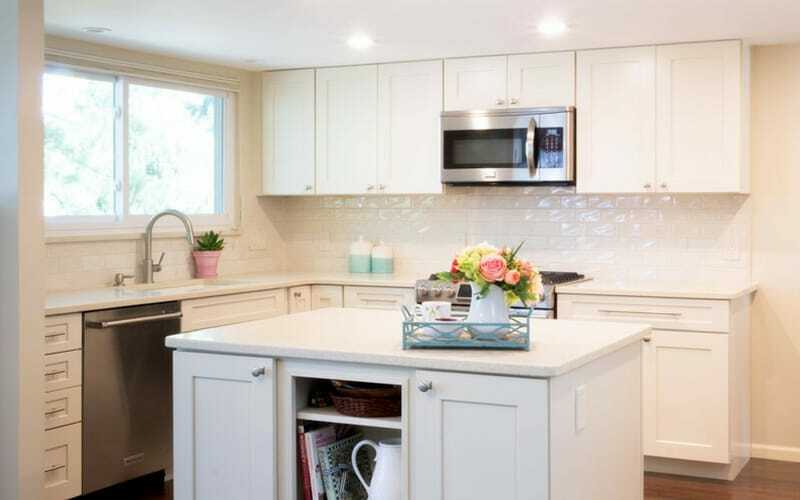 After just having spent what seemed like years removing every last bit of wallpaper from my house, photos of newly wallpapered rooms have been popping up all over the place in home design magazines and blogs. You’d think that I’ve learned my lesson and might have vowed to never, ever (ever ever ever ever) to add any wallpaper to my precious walls so help me. But to my surprise, that doesn’t actually seem to be the case. 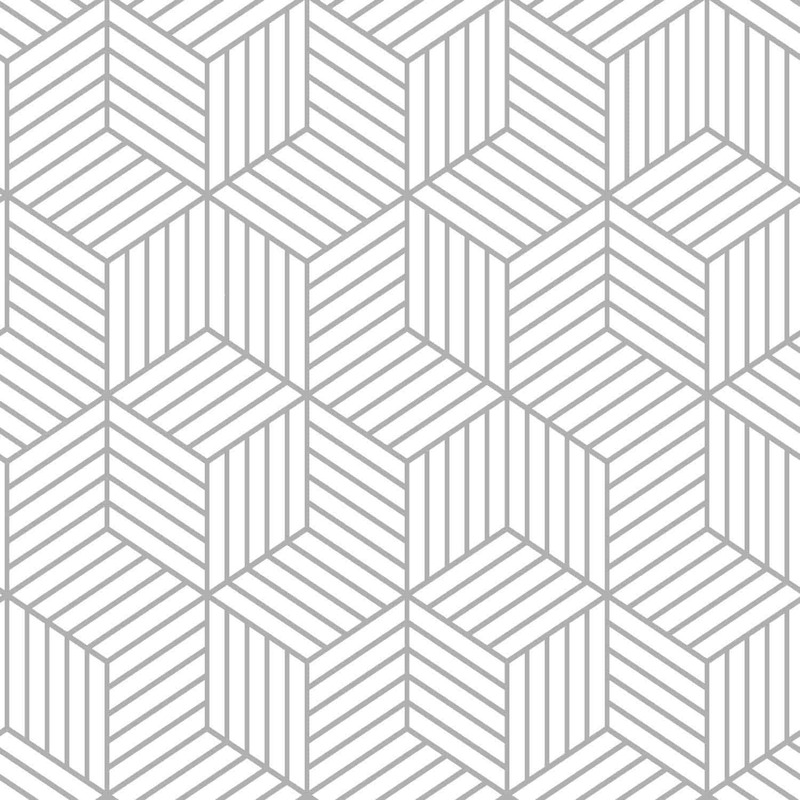 Especially because wallpaper has not only had a resurgence of popularity, but it has also undergone quite a bit of a technological revolution. What Wallpaper Should I Use? Some wallpaper is now basically one giant restickable sticker that you can put in practically any room with ease. Good for renters, or people like me who don’t like taking 10 days off work to remove wallpaper from a room when they inevitably change their mind. If you’re new to the wallpaper game, I would start with removeable wallpaper. It’s not necessarily easier to apply, but it’s definitely easier to remove. 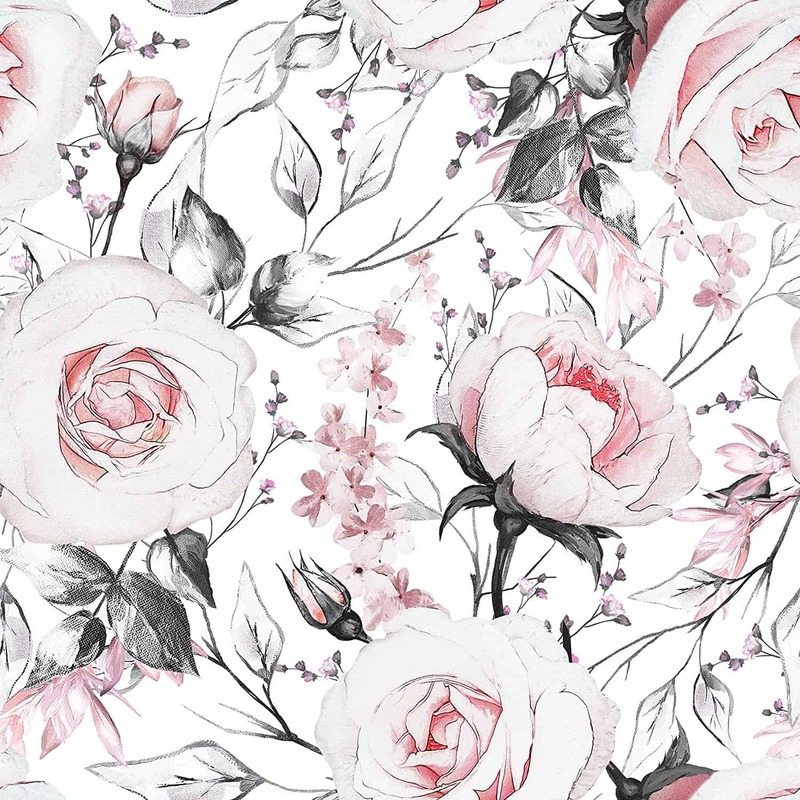 You can get a feel for the style and be a part of the wallpaper revolution without having massive regrets later on. Whoever invented removable wallpaper is my favorite. 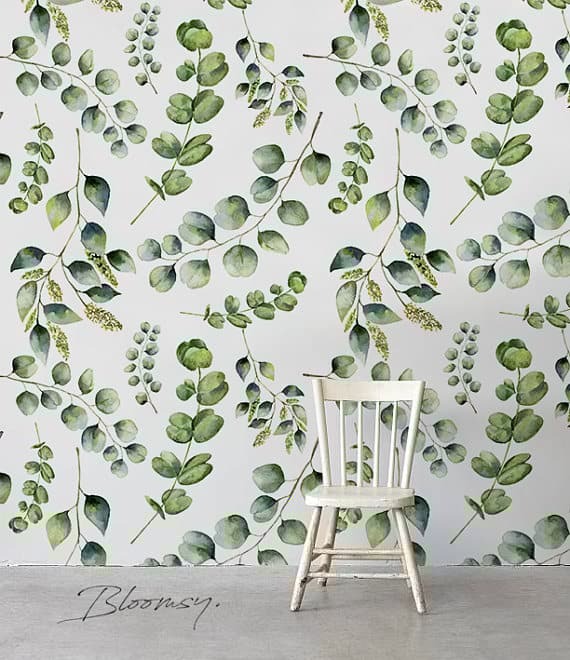 🙂 I love the idea of using a temporary wallpaper that won’t damage my walls, and that is not a lifelong commitment! Say goodbye to the stress that comes with making such a permanent decision. I like to change things up every so often, and removable wallpaper is the perfect accent piece for that. It makes a big impact, but one that can be easily changed. 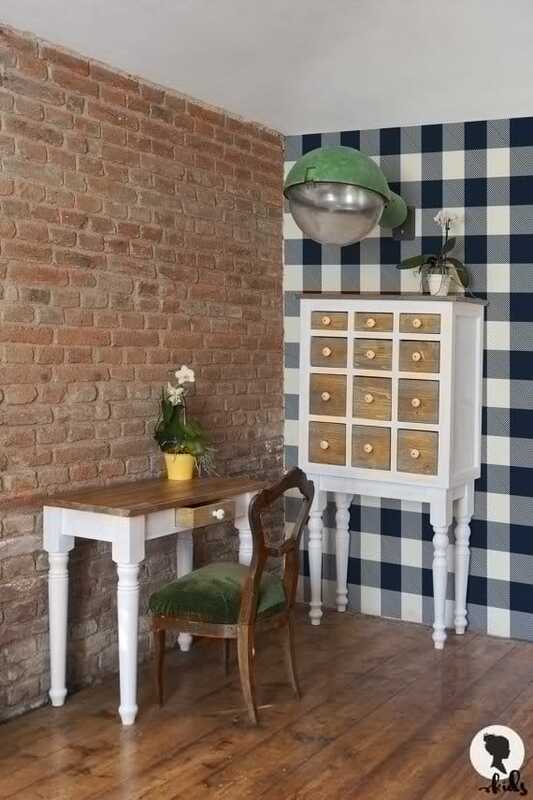 Plus, removable wallpaper is perfect for renters! Yay! Can you put wallpaper in the bathroom? That is a very good question, and one that you should consider carefully. Some wallpaper products will have the instructions right on the package. If you’re not sure, call the manufacturer to be sure the wallpaper is water resistant. If you can’t get any information, then avoid using that wallpaper altogether. That is, unless it’s a pattern you just can’t live without. 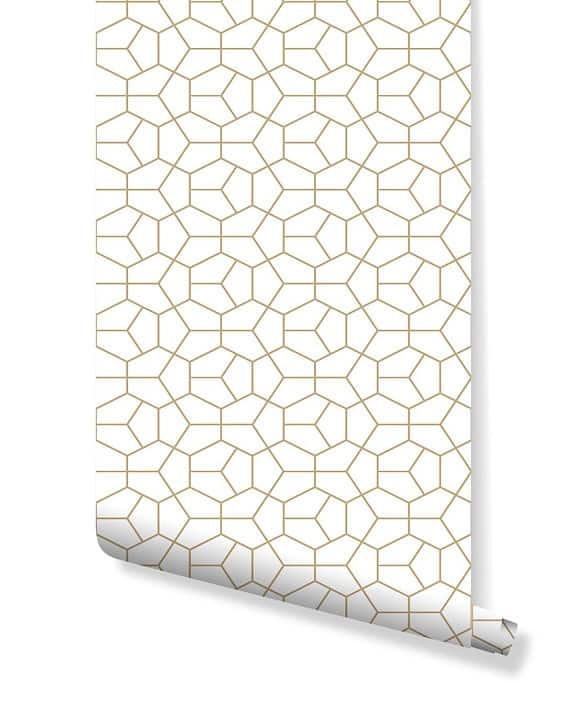 I would recommend putting removable bathroom wallpaper in a half bath, where there is no shower, or maybe a spare bathroom where the shower is rarely used. Keep in mind that bathrooms become steamy and filled with moisture, which doesn’t mix well with wallpaper! So, you’re safe with a half bath! But, if you really want to try in your regular bathroom, I would suggest that you do some in depth research before you take the plunge! 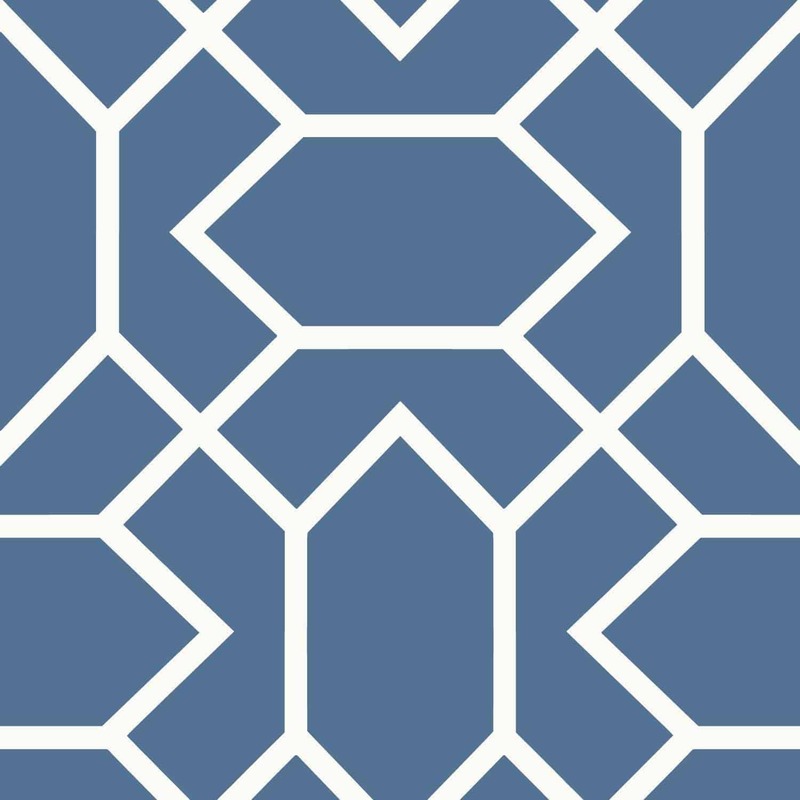 I’ve divided up this removable wallpaper for bathrooms shopping guide into categories to help clarify your options as you shop! 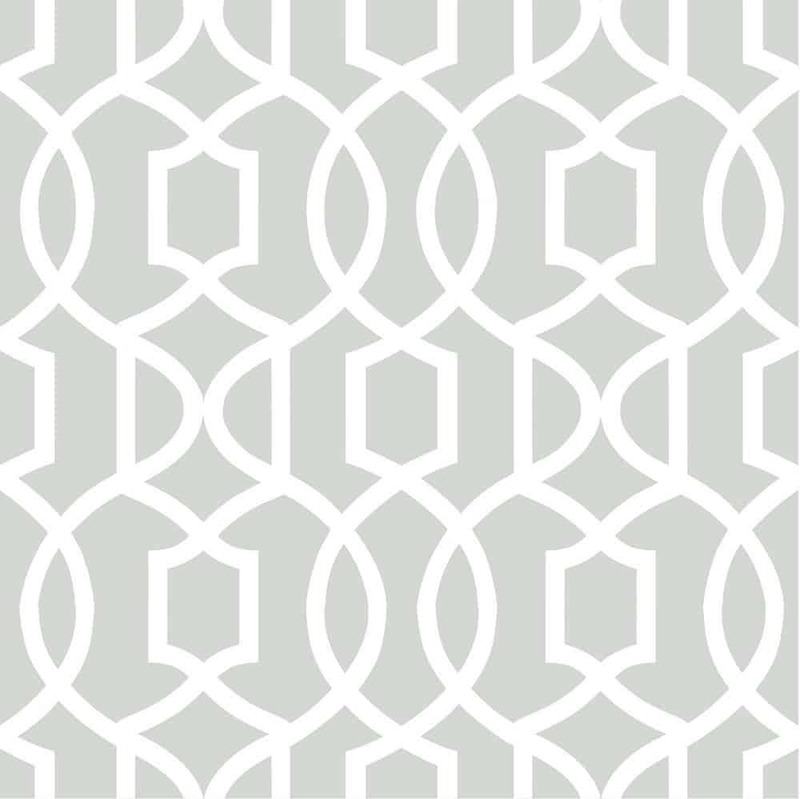 Geometric patterns are a fun choice because there are so many different options! 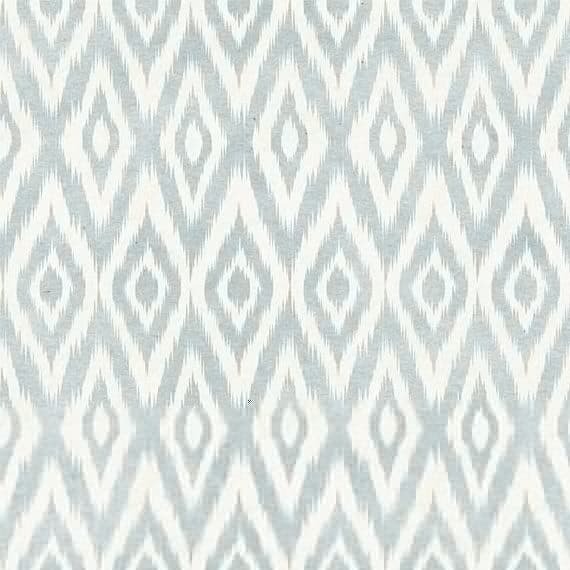 You could choose a large pattern with lots of lines, or go with something more subtle and intricate. Color also plays a big role in your removable wallpaper choice! If you have a neutral bathroom, you might want to choose a bold color to add some interest! 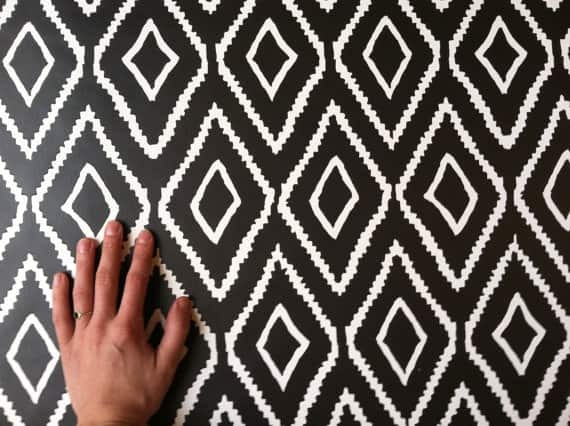 Or, if you want to keep a neutral look, you can rely more on the pattern of your removable wallpaper to add that interest by choosing a large pattern. 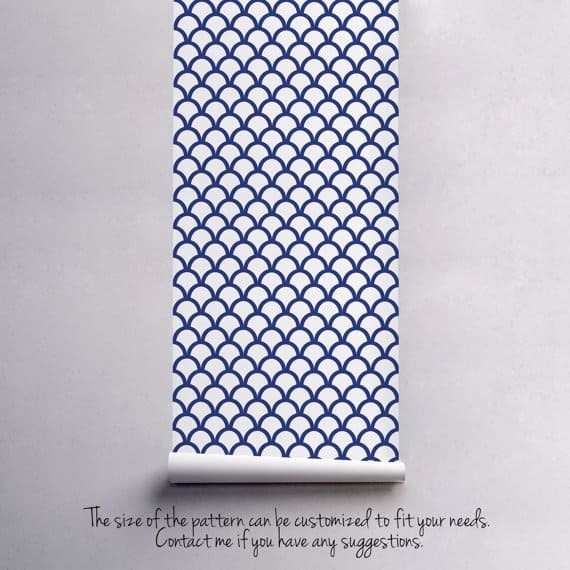 Or, you could achieve that look with a small pattern that repeats itself a lot. 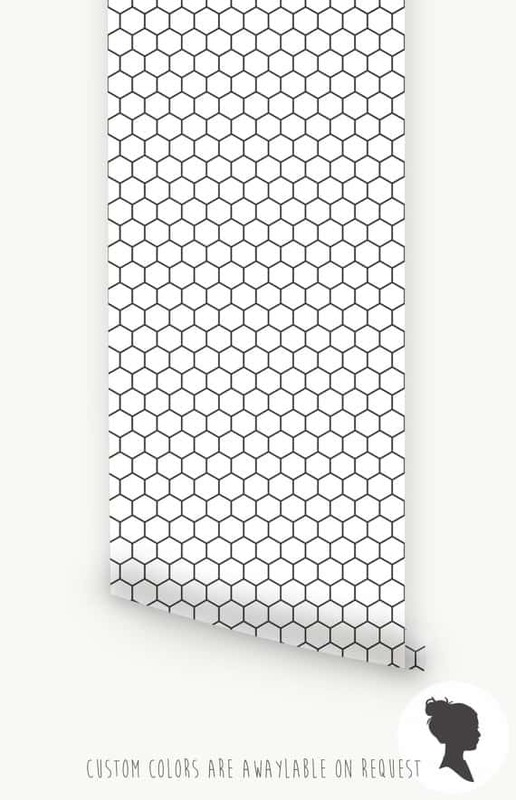 I love the honeycomb removable wallpaper! I think it has a very clean, timeless look that will stay stylish forever. 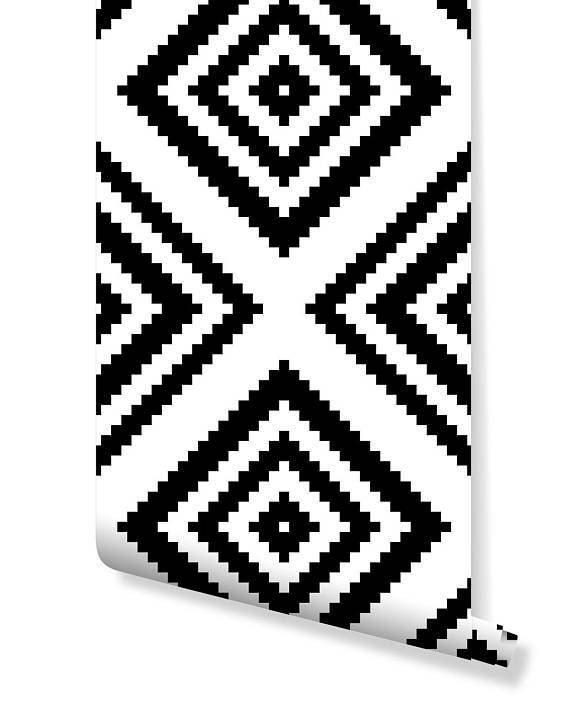 Even though the pattern is on the small side, it repeats itself over and over, which adds lots of interest! It’s a classic! Ah! 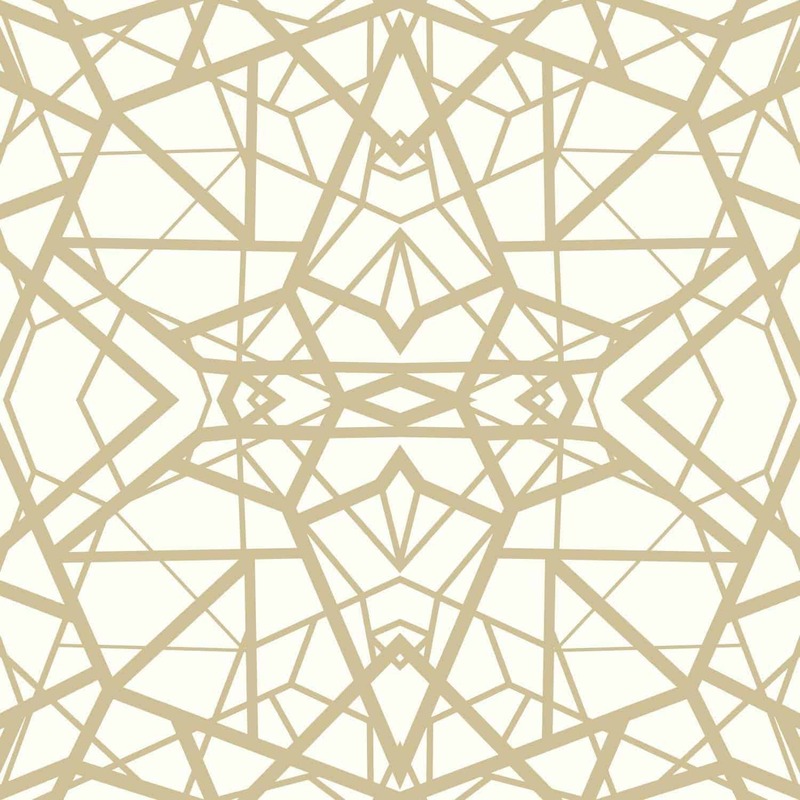 I love organic patterns on wallpaper! I think it is a beautiful and bold choice for a bathroom! 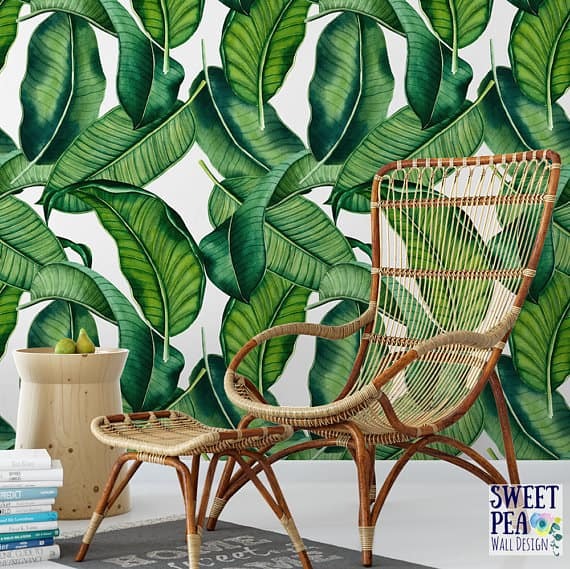 Especially if it is a large pattern like the banana leaf removable wallpaper! Can you just envision the beautiful and fun bathroom that could be?! 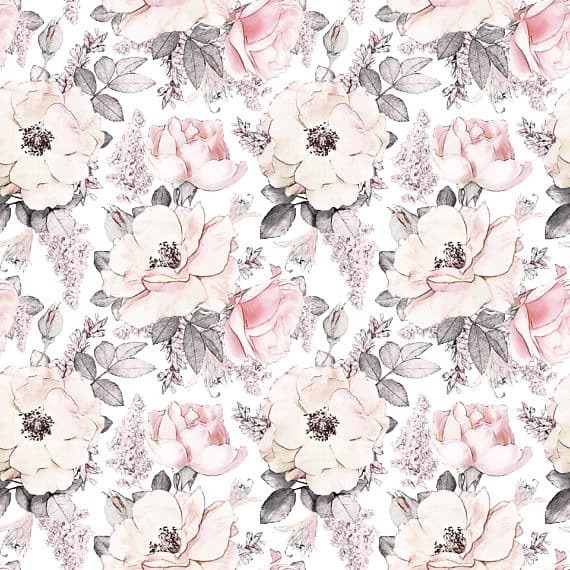 I also love the look of a large floral pattern for a bathroom! 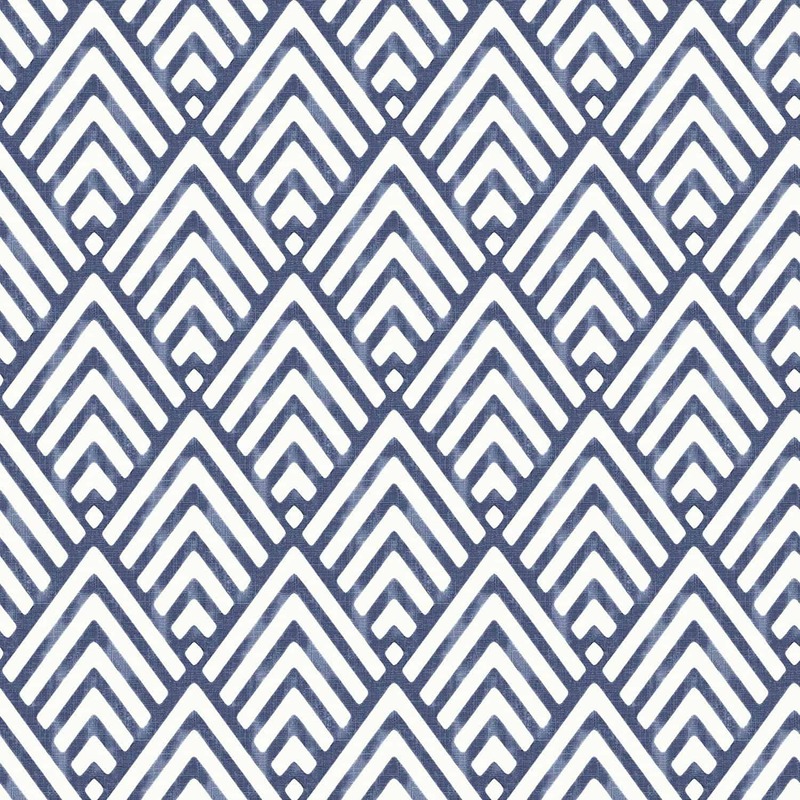 An elegant pattern made extra bold by the large size. I hope you’re inspired to spice up your bathroom and add some removable wallpaper! 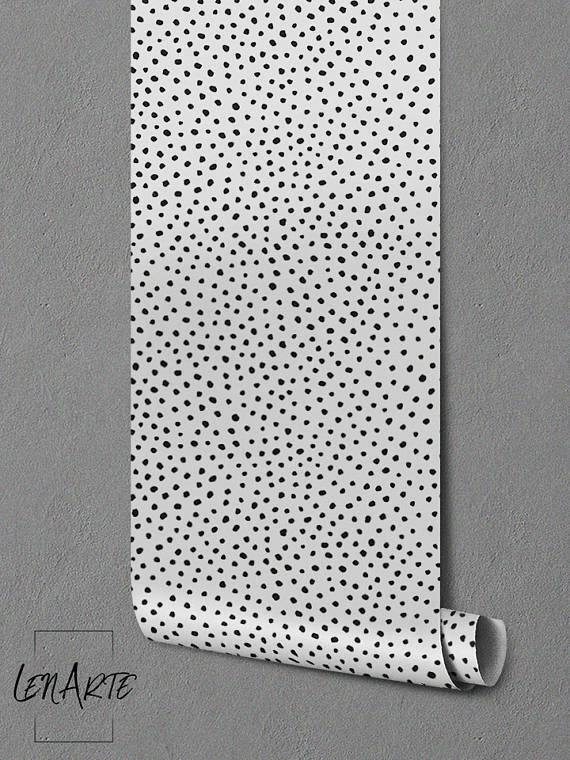 There are so many beautiful options to choose from, and I hope that this removable wallpaper for bathrooms shopping guide has helped you as you’re making your choices! 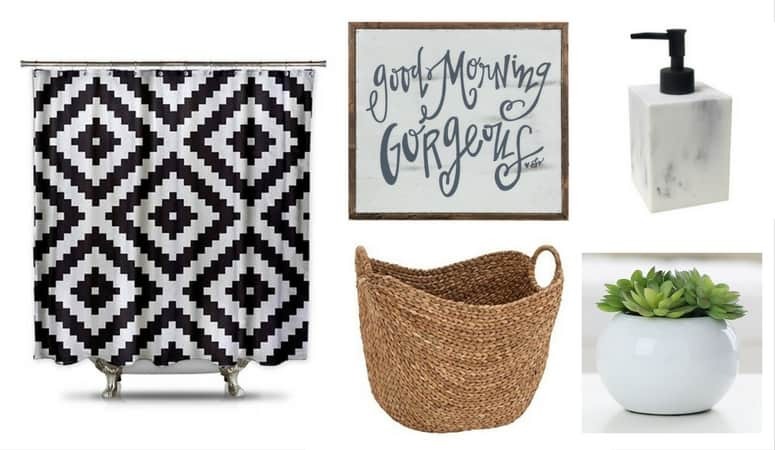 If you loved this post, then you’ll also love my Bathroom Decor Essentials Shopping Guide, my Interior Decorating Ideas for the Home post, and my cheatsheet on How to Mix Patterns Like a Designer!